Call of Duty: Black Ops 4 Review: Are You “Soldier Enough”? For the first time in the series, Call of Duty: Black Ops 4 includes a battle royale mode and the biggest Zombies offering ever with three full undead adventures at launch. Soldier up as we discuss more all the combat tailor-made features for the Black Ops community! Our friends from PlayTrends gave us a copy and we geared up for this review. 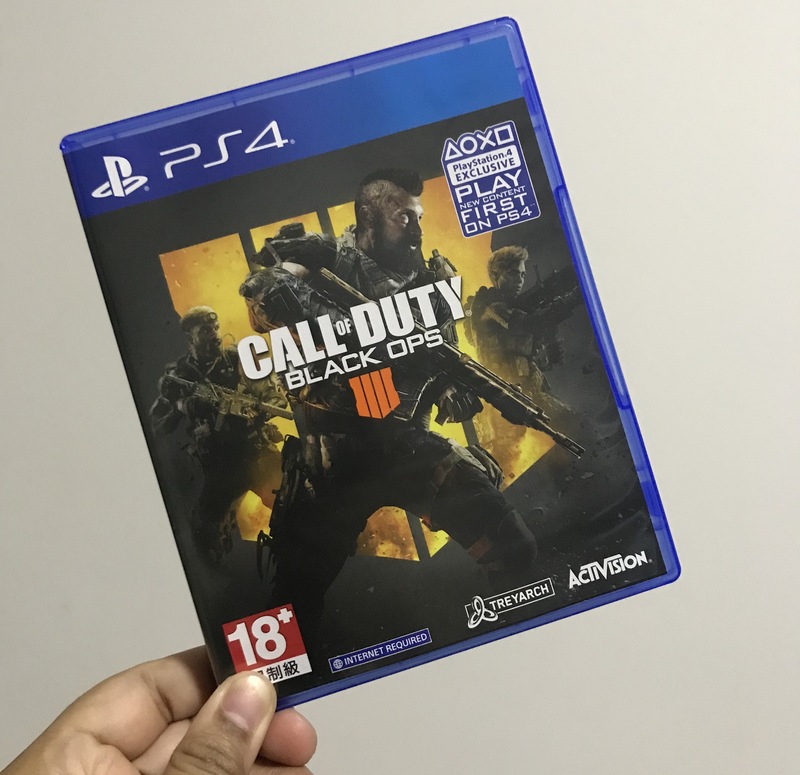 Get your copy of Call of Duty: Black Ops 4 HERE on Playtrends. We see a common trend of Battle Royale since PUBG and Fortnite blew up the market. 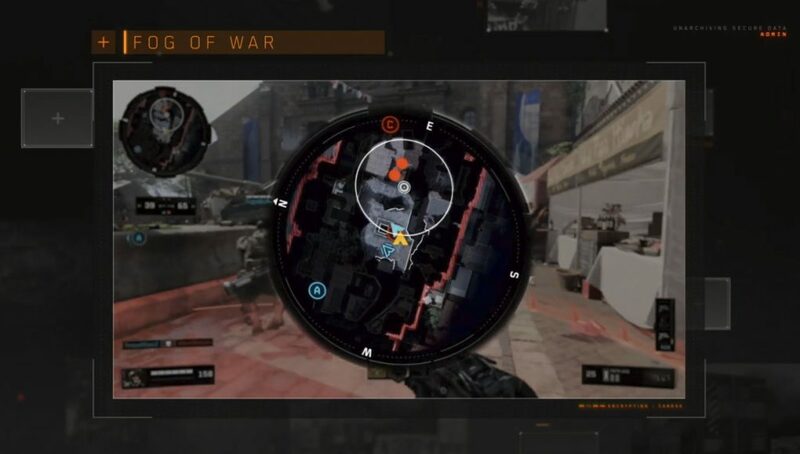 In the Blackout beta, 88 players are dropped into a huge map, each of them vying to be the sole survivor by collecting equipment and eliminating enemies. Blackout has a huge map – 1,500 times the size of Nuketown Map. Some maps in Blackout are from Black Ops 2, so for those of you who’ve played it, you’ll have an advantage and knowledge of getting around and sweeping the territory to eliminate players. Yes, zombies are on the map! They will primarily be located around special “mystery boxes” filled with powerful gear. Definitely risky to get your hands on the gear and be around that area but who can resist the desire of power. So, be sure to keep an eye out for other enemies while you’re killing and looting. The ray gun from zombies mode is available if you are lucky to find it. The brilliant monkey bomb is in there too! In one match, I chucked the monkey bomb thinking that it’d attract more zombies but turns out, I’ve killed all of them. Call of Duty’s Blackout gameplay is very much similar to Fortnite, one massive battle royale experience. The difference is that it relies on military-like strategy and realistic graphics, whereas Fortnite offers a unique building mechanic and bunny onesies. Fornite and PlayerUnknown’s Battlegrounds fans… please don’t hate me but I prefer Call of Duty’s Blackout. To me, it’s more realistic and the game movement is as silky smooth as other Call of Duty games. If I do have to compare, I’d say that Call of Duty’s Blackout is the well-polished version of PlayerUnknown’s Battlegrounds. For the first time ever in the series, Call of Duty: Black Ops 4 doesn’t include a traditional single-player campaign. You will be introduced through small solo missions that also give you a chance to try out the 10 specialists you’ll be using in competitive multiplayer instead. 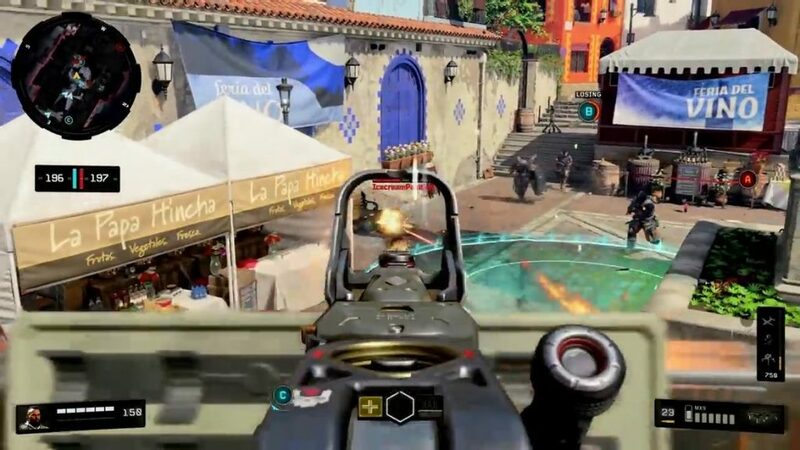 Call of Duty: Black Ops 4’s competitive multiplayer mode gives you plenty of options for battling it out against other players, and it mixes in classic series elements. There’s no more hiding and waiting for your character to begin refilling your total health. You’ll now make use of a dedicated healing button to do so which will be on a timer, so you won’t be able to heal whenever you’ve been hit. Don’t worry, the timer is about 5 seconds. That will encourage more strategic and cautious play compared to the all-out assault-style that Call of Duty veterans are most likely to do. This changes the game and completely alters how you approach combat. A feature called Fog Of War has been added to the multiplayer mode. You’ll only be able to see a short distance around your character on the mini-map, making enemies at a distance effectively invisible until you get closer. With the insert of Fog Of War, I get a lot more kills when other players couldn’t see me shooting on the mini-map except the ones that are near. Comparing the previous Call of Duty games, all of the opponents would’ve rushed to where I am like a horde of zombies and eliminates me savagely like a boss. Remember I said there are 10 specialists? Well, my favourite is Ajax because I can get up close to the enemy. The others are really cool too but if I were to form a Black Ops Esports team, I’d pick Ajax. Call of Duty: Black Ops 4 leans more heavily into its Zombies mode than any other game in the series, with three separate Zombies campaigns available at launch. Blood of the Dead is a new-school take on Mob of the Dead from Call of Duty: Black Ops 2, and takes place in Alcatraz prison. Portals are opening due to the influence of Richtofen and his other, while undead swarms the island penitentiary and threaten to destroy our heroes before they have a chance to discover the secrets hidden in its laboratory. Voyage of Despair is set on the doomed Titanic ship in 1912 and finds our heroes dealing with a supernatural threat far worse than any iceberg as they search for a mysterious artifact. The most bizarre of the Zombies campaigns is IX, which takes place in Ancient Rome. It has an Army of Darkness vibe to it and, because of its time period, you’d be thinking that there won’t have any guns. But there are! So don’t worry about having to use bows and arrows. You’ll be able to choose which perks will be available at a map’s “Altars” to fit your playing style, and it will now be possible to decline the weapon inside the Mystery Box in order to let a friend take it instead. What do you think of when it comes to Zombies? For me, it is the greatest TV hits “The Walking Dead”. And, if you want to be a brave zombie slayer, watching the tv series might help to give you some tips and strategy. So let’s get ready for the Black Ops universe! Challenge yourself and be the top player on Call of Duty: Black Ops 4. P.S If you think I’m good enough to be on your team or just looking for another person to play with. I am pretty good at Zombies Call of Duty! So, just hit me up in the comments below for my IGN and we can be the best Zombie slayers. Also, be sure to follow us on Facebook, Instagram and Telegram so you don’t miss it. Until then, Get Paid To Play!